Founded in 2001 when residents of Worcester’s Main South and Piedmont neighborhoods came together around environmental justice concerns, Worcester Roots (originally named Worcester Roots Project) has led the way for youth leadership in environmental, social and economic justice organizing in Worcester. The organization’s first project was tackling lead-contaminated soil in low-income neighborhoods – an issue not previously given sufficient attention. Offering free soil testing and low-cost soil remediation methods like phytoremediation (using certain plants to pull lead out of the soil), Worcester Roots staff and volunteers got their hands dirty making green space safe again for children and families. 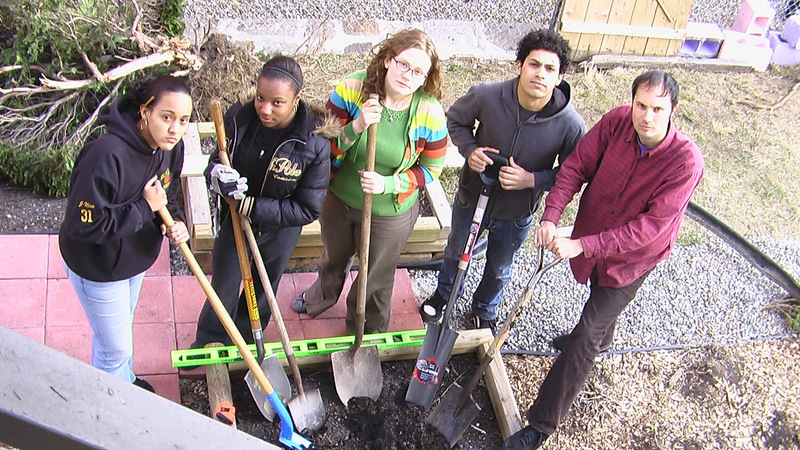 In 2005, a group of youth approached Worcester Roots with a plan to bring youth organizing and leadership to the soil safety effort. Toxic Soil Busters was born – originally a group of 5 youth which has since grown to 10. Toxic Soil Busters created a year-round youth employment program with a focus on youth empowerment that trains youth as community organizers, lead-safe landscapers and video producers working for environmental justice in our city. The project has been increasingly supported by earned income, creating stable and sustainable youth employment during tough economic times. In 2008, Worcester Roots helped to unify Green Jobs supporters in Worcester as a lead organizer for the Worcester Green Jobs Coalition. 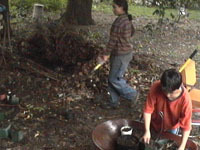 In 2009, Worcester Roots and Toxic Soil Busters launched Youth In Charge, a youth program tackling community-identified issues in Worcester’s Bell Hill and Lower Lincoln neighborhoods. With offices in Plumley Village, Youth In Charge is a year-round community improvement program led by six youth and inspired by Toxic Soil Busters’ leadership style. In 2010, Worcester Roots adopted Worcester Energy Barnraisers as a program. The Worcester Energy Barnraisers (WEB) strive to promote environmental sustainability as well as social and economic justice through collaborative home energy efficiency projects. WEB organize “energy barn-raisings” which empower and inspire diverse groups of people to take energy conservation into their own hands through various weatherization projects on a building. The volunteers have the opportunity to educate themselves on valuable replicable skills from our team leaders that they can use to gain experience for “green collar” jobs – while also applying them at home to trim down energy consumption and heating bills. WEB helps to reduce our collective “carbon footprint” as they translate the negative effects of climate change into inclusive community solutions that are accessible to everyone. In 2011, Worcester Roots took on incubating the Future Focus Media Co-op and Youth Training Institute, which produces high quality video, photography and audio, while training youth in television, and film production with the goals of building youth’s job skills and creating powerful stories. The group is also the coordinator of the annual Frederick Douglass Fourth of July Reading and the founders of the Central Mass Film Festival. In 2012, Worcester Roots took on it’s next worker co-op incubation collaboration with the Diggers Landscaping Co-op, which specializes in permaculture and organic landscaping techniques. And in 2013, Worcester Roots took on fiscal sponsorship of Nuestro Huerto Community Farm. 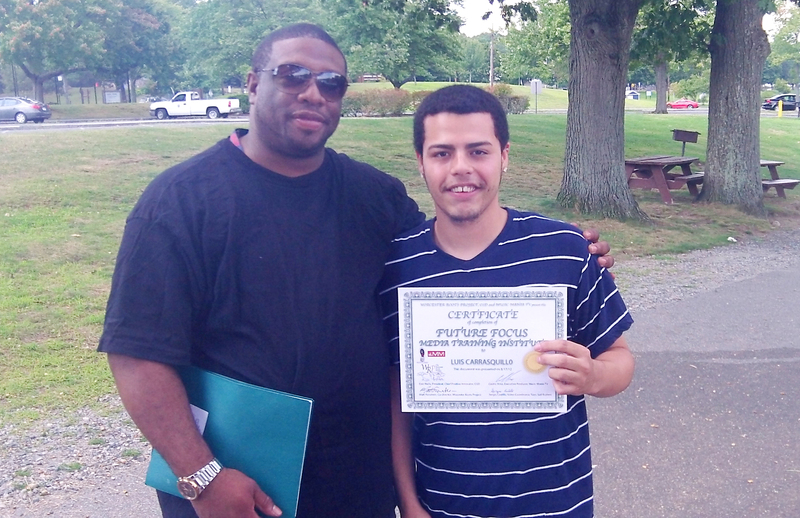 In 2014, 4 Elements – Social Justice through Hip Hop, became a part of Worcester Roots.